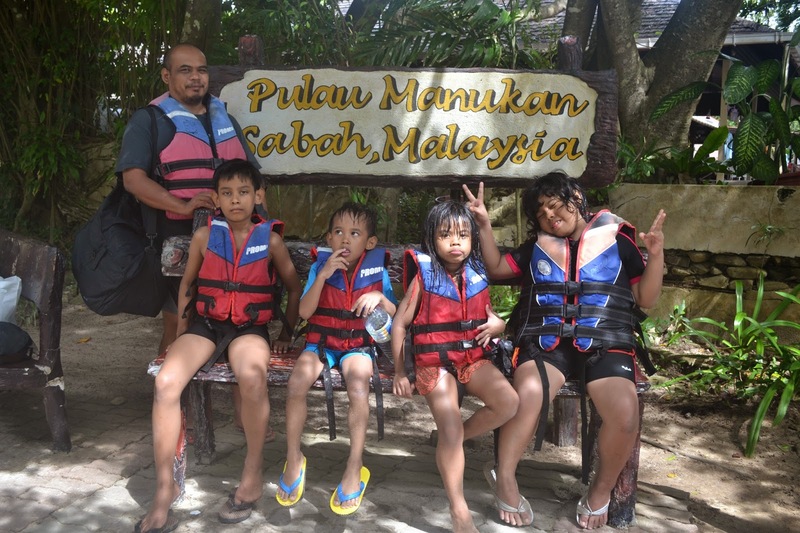 Sharing travelling experiences with my kids across the country and other countries on the cheapest budget I can get without ground arrangement by the travel agent. Even its not a luxury trip, but we all do have fun and cherish the experiences. 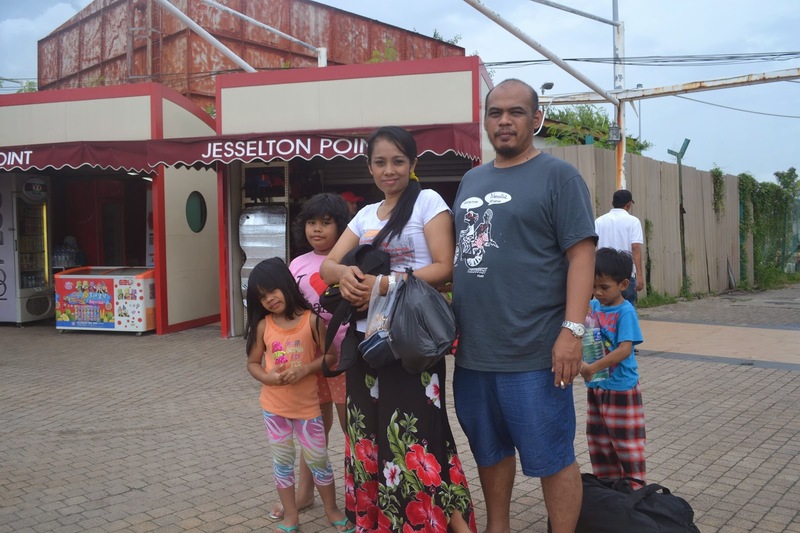 Its become our great memories together as one happy family. 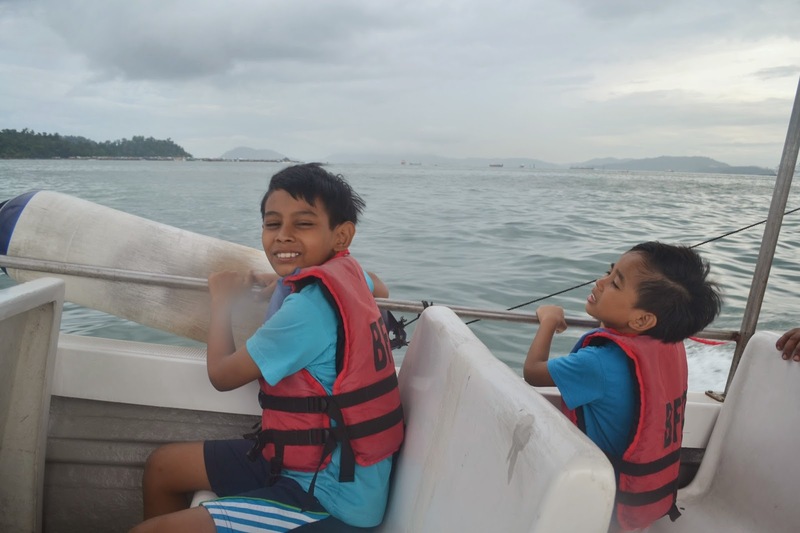 Today, KIDDOS need to get up early because we are going to enjoy boat riding to Tunku Abdul Rahman National Park. As early as 7.30am Mr Hubby manage our check out and I've bought some snack and Nasi lemak pack for our picnic at the beach later. 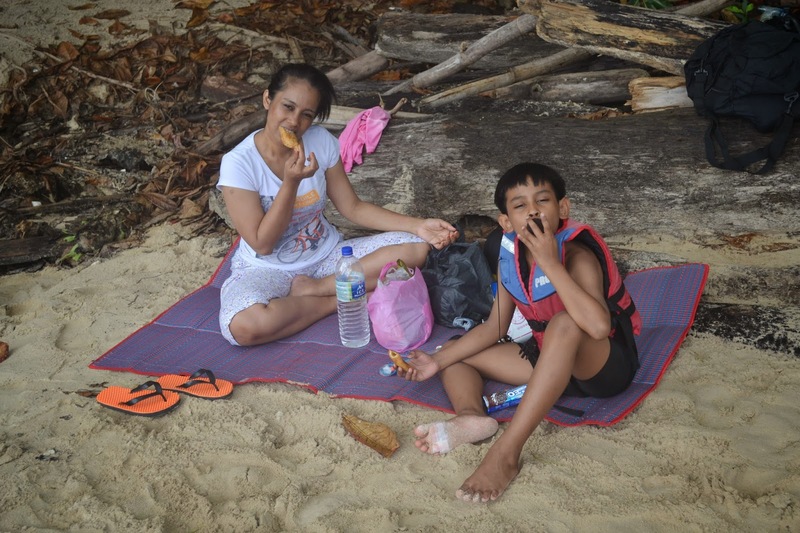 (TIPS: Food and snack at the island is expensive so its advisable for you to pack some lunch from mainland before the trip) You just can have all the food easily down of the apartment. 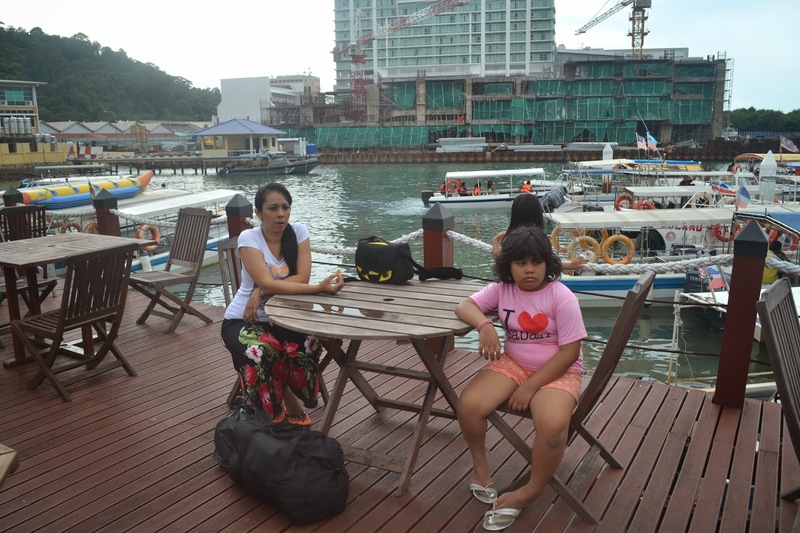 Once everything ready, we move to Jesselton Point jetty to get our boat. Jesselton Point Waterfront which is formerly known as Kota Kinabalu Ferry Terminal has become one of the main attraction in Kota Kinabalu. 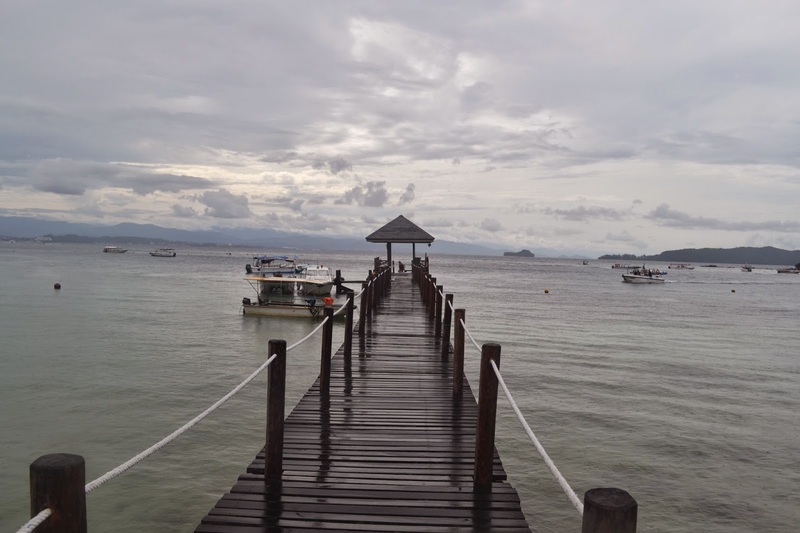 Situated north of downtown Kota Kinabalu, Jesselton Point serves as the only ferry terminal for Labuan - bound passenger as well as the main boat terminal for Tunku Andul Rahman Marine Park and Gayana Island. From Promenade you just drive your way to main road between Oceanus and Promanade Hotel. Go straight until end of the road where the road continue turning right. You can see Jesselton Point is on your left. We have our breakfast first before boat riding. While having our breakfast, one man approached us and offered private boat package for 6 of us hopping to 4 island for RM350. He keep saying that he give the cheapest package compared to ticket counter. I hv doubt that because we use to charter boat for island and the cost is cheaper within range RM200 - RM250 per boat. After done ate our breakfast, Mr Hubby go to the ticket booth just to compared the price. We found out that the price inside is cheaper than the 'ulat' selling outside the building. At last, done deal with RM250 to charter only 6 of us hopped to 5 island with free 3 set snorkelling equipment. 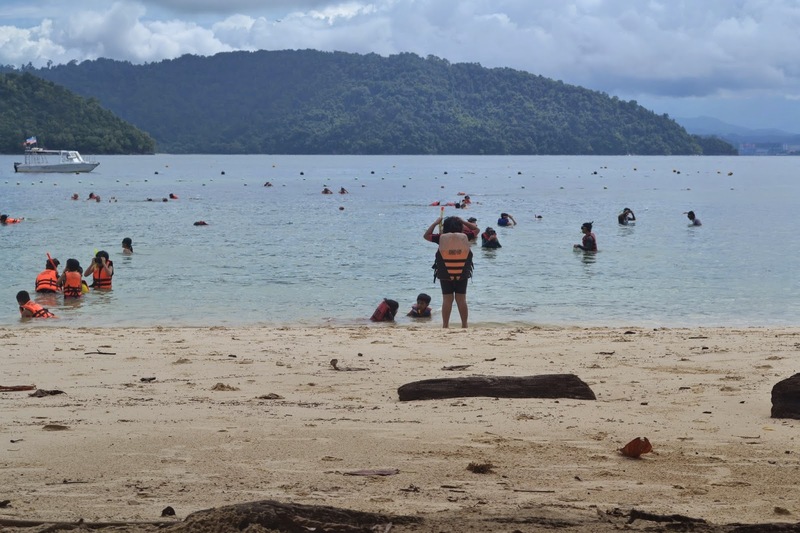 The snorkelling equipment normally need to rent for RM10 per set. Good deal huh? Its a deal! Let get on to our boat then. The good thing about private boat charters is you can have your own schedule and managed your own timing. The boat driver will just follow your order. He will be available nearby when you need to the ride to the next destination. But, to those who wanna hv economic ride just purchase normal ticket around RM17 to RM30 depending on how many island you want to visit. The boat depart every hour to the island of your choice, with earliest departure at 7.30am and last departure at 4.30pm. The last return boats are at 5pm. You can also stay overnight at the island but I think the room per night is quite expensive. Waiting for the driver to set up the boat. Okay, back to my island adventure. 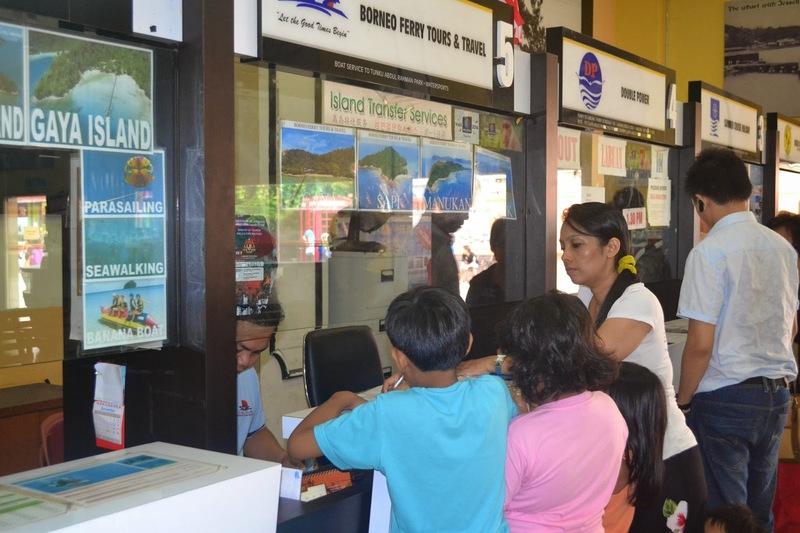 The price for our boat charter is actually exclusive the terminal fee for passengers. The fees are RM7.20 for adults and 3.60 for children. As early as 7.30am, this jetty are always busy. 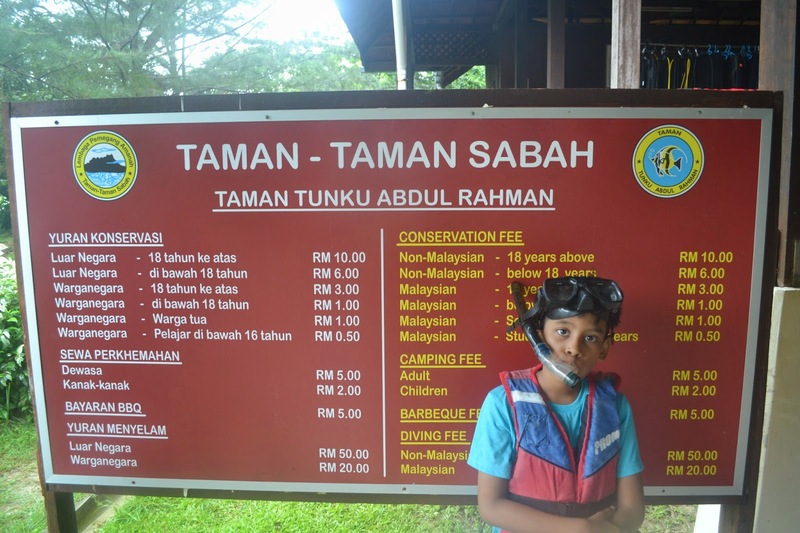 Tunku Abdul Rahman National Park comprises a group of 5 islands located between 3 to 8 km off Kota Kinabalu mainland. These island namely Pulau Gaya, Pulau Sapi, Pulau Manukan, Pulau Mamutik dan Pulau Sulug. The park was named after Tunku Abdul Rahman, Malaysia's first Prime Minister. We are too excited, cant wait for the first island. Getting on board. Big boat just only for us. I think this boat can load around 15 people. Mr Hubby and our boat driver. My doters, always scared of the speed. We have reached Pulau Gaya, the largest island in TAR(Tuanku Abdul Rahman) National Park and the closest to mainland. Its covered with dense virgin of tropical forest. This Island has 20 km of hiking trails if you want to experience the mature nature of Gaya Island. The Gaya Island jetty. You can see the water is very clear. When we reached here, then only we noticed that we need to pay for conservation fee as per attached below. Once you purchase, the same ticket can be use to all the TAR Marine Park islands. My son ready for his snorkelling adventure. let get change... I want to snorkell.. yeahhh!! 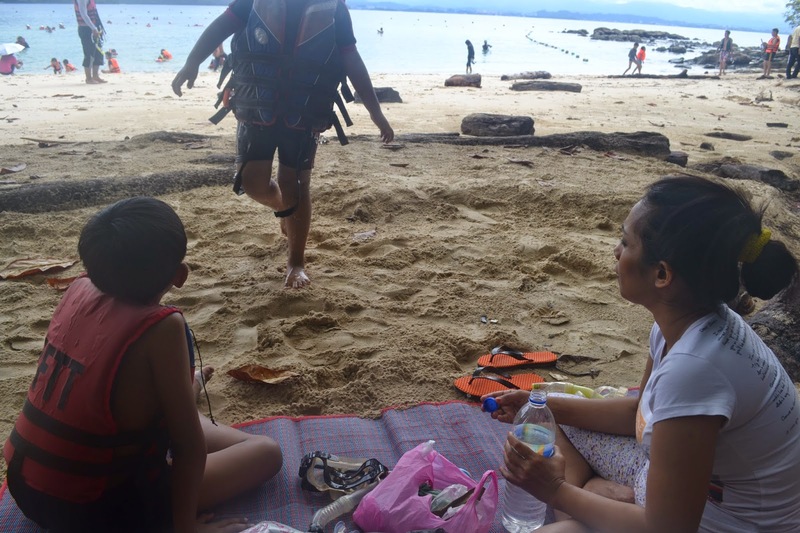 While I helped my twin get changed to the swimming outfit, my eldest son hv make his way to the beach first to play with the water. Unfortunately, suddenly his feet got injured by stepping a sharp stone underwater and bleeding. The guide help to stop the bleeding and bandage the wound. Bleeding and the wound quite big. I dun think he able to get in the salted water like this. This is what happen after the incident. My son just sat at the bench while my daughters are playing with the sands. Since nothing much we can do here. We decided to move to the next island. 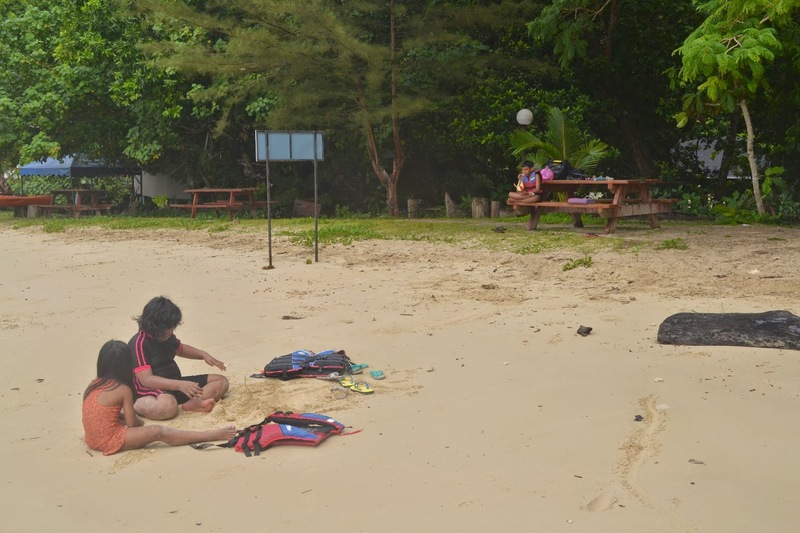 Sapi Island has one of the nicest beaches and is the smallest island in the Tunku Abdul Rahman National Park. It’s just next to Pulau Gaya. We enjoy its clean white sand and crystal clear water and coral reefs fringing the shoreline makes it ideal for swimming, snorkelling. Day-use facilities include a jetty, picnic shelters, barbecue pits, tables, changing rooms and toilets. Snorkelling gears and fins available here for rent at RM 5 to RM 10 per pair, with a refundable RM 40 deposit, limited lockers also available for rent to store valuables. 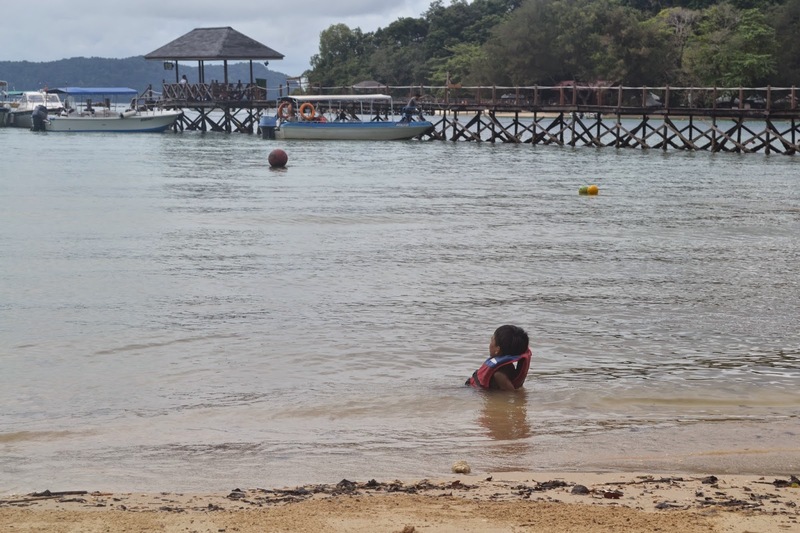 Sapi Island is said the best island for snorkelling and there’s no sharp rock as seen in Mamutik Island. However, this island often crowded due to it’s small beach size. No need to purchase ticket, as long as your first ticket still available with you. I think Sapi is better than Gaya. Visistors like to stay longer at this island due to, its facilities. Me like always, don't wanna get myself wet in that salted water. Manukan Island is the second largest island in the Tunku Abdul Rahman National Park, Malaysia's first marine national park. 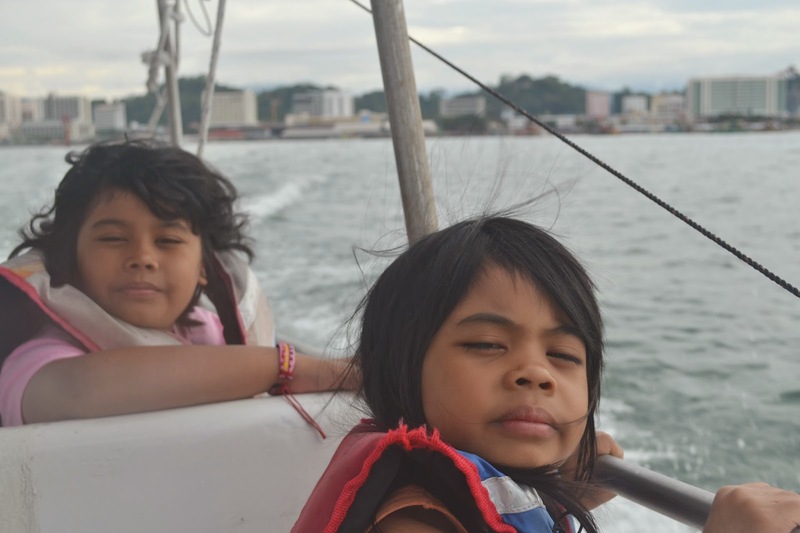 Manukan is the most popular island with Kota Kinabalu residents. Manukan has some good stretches of beaches on the southern coastline. The best beach is on the eastern tip of the island. 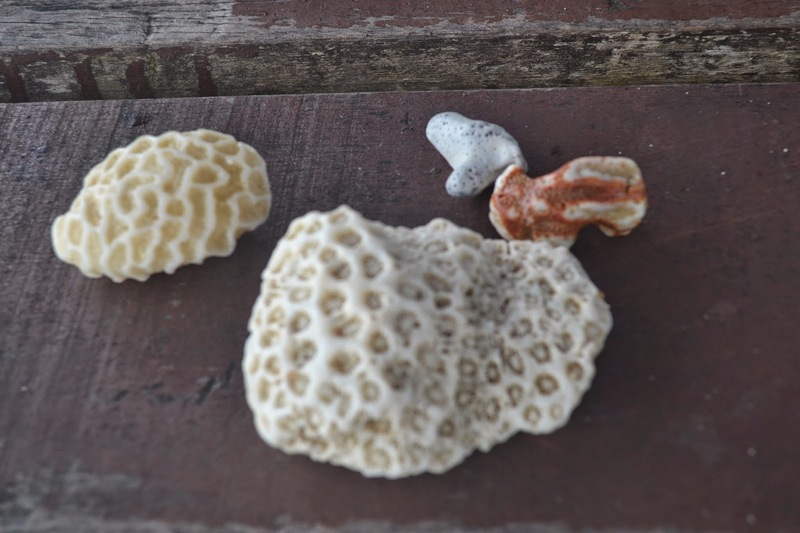 Offshore of Manukan are coral reefs, which is ideal for snorkelling, diving and swimming. 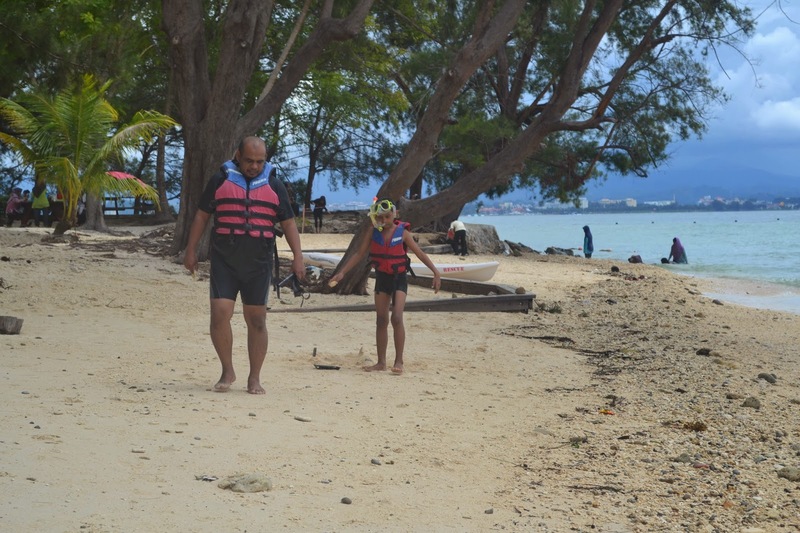 Mr Hubby grant my eldest son request to go for snorkelling even though his foot is hurt. But the attempt failed. 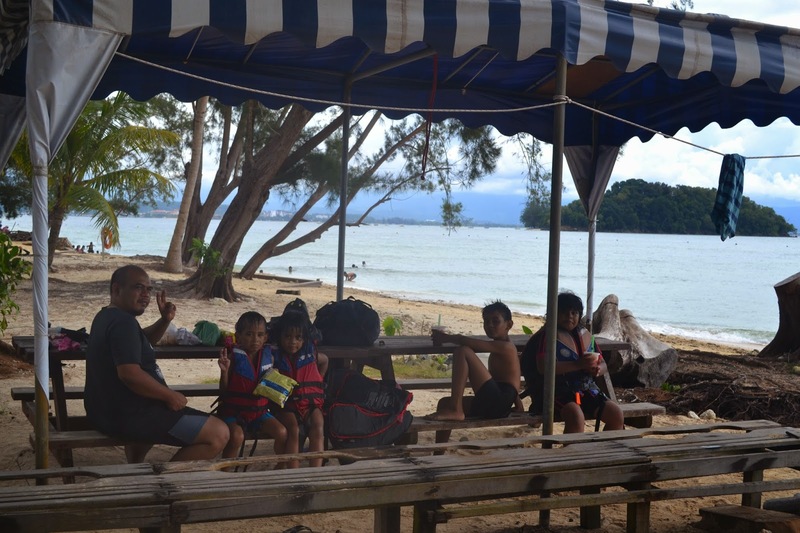 Out of the 5 islands making up Tunku Abdul Rahman National Park, Manukan features the most developed tourist facilities that includes of chalets, a clubhouse, and few restaurants and a diving centre. Recreation facilities include a swimming pool, football field, Volleyball and Sepak Takraw courts. Personally, I think the beach here a lot better. Its clean but just too many small stone along the sea shore. There are many small stall here selling foods and beverages but its expensive. My eldest was not happy because of his injury.He can't have fun at all. The others also become so tired. 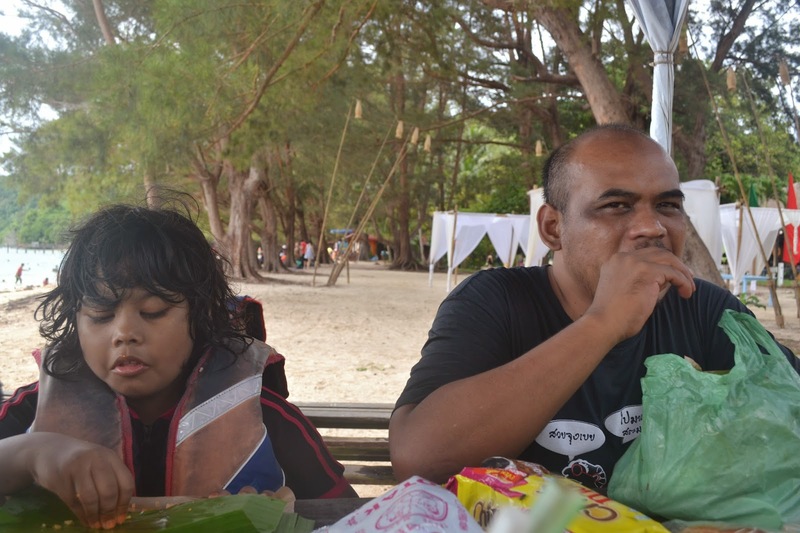 After hopping to 3 island already, we become so tired and sleepy. I dun think that KIDDOS can make another stop the next island. So we decided to just make a turn to the next 2 island to have a look then headed back to mainland. In fact, my eldest still in pain of his injury. Its us with Mamutik Island as the background. 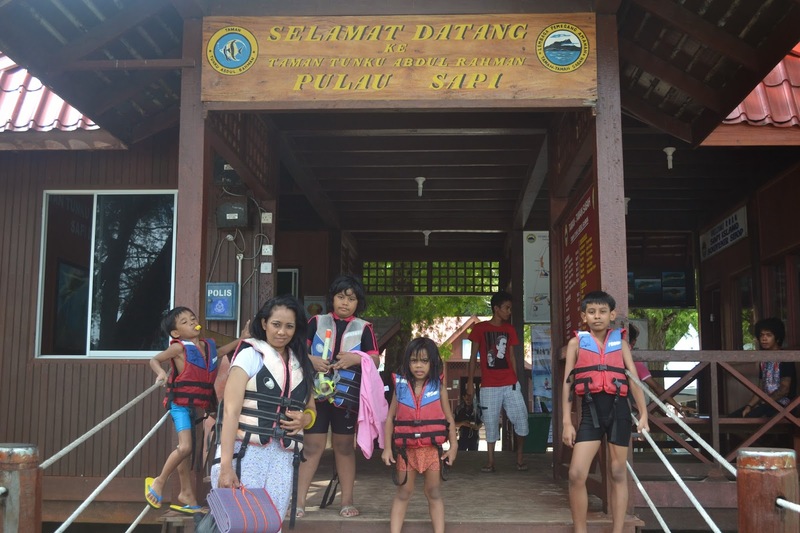 We just hv a boat tour to Sulug Island, but nothing much there since most of visitor not stop here. Its small and undeveloped. The shoreline is mostly rocky. Some foreigner visitor prefer the quiet and abandoned atmoshere. Mamutik Island is teh seconf furtest island after Pulau Sulug. 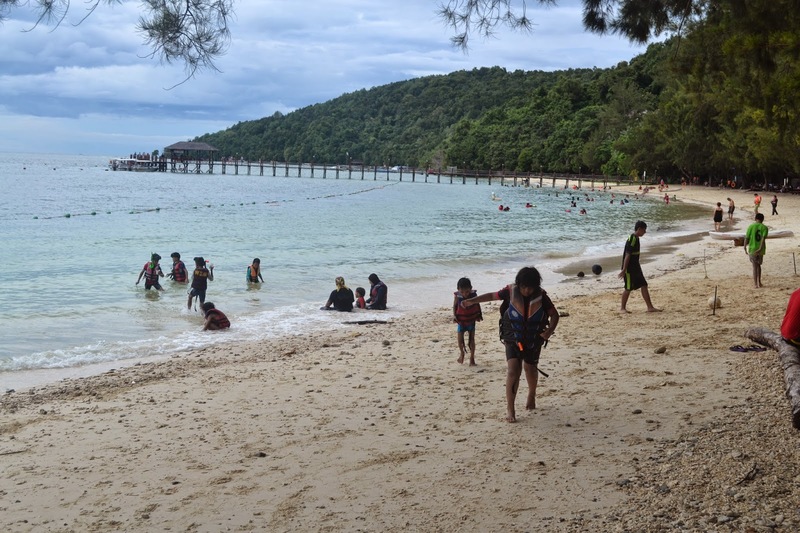 Until recently, Mamutik is often regarded as an off-the-beaten-track-island as the lack of tourist facilities had make it less popular as compared to the often filled-to-the-brim beaches on Sapi and Manukan. Enough boat riding and island hopping as everyone really exhausted and a nice shower and a good nap in the hotel room. 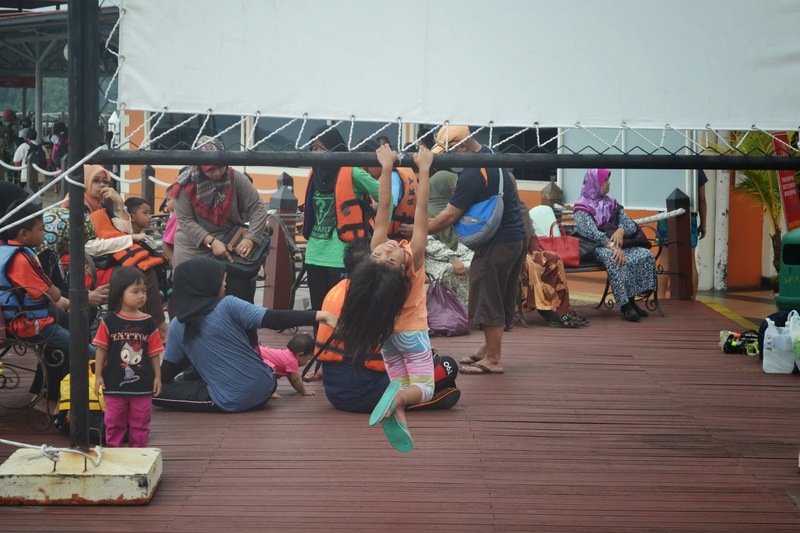 By 3pm after making a round to all islands, we head back to Jesselton jetty. Its around 3pm. 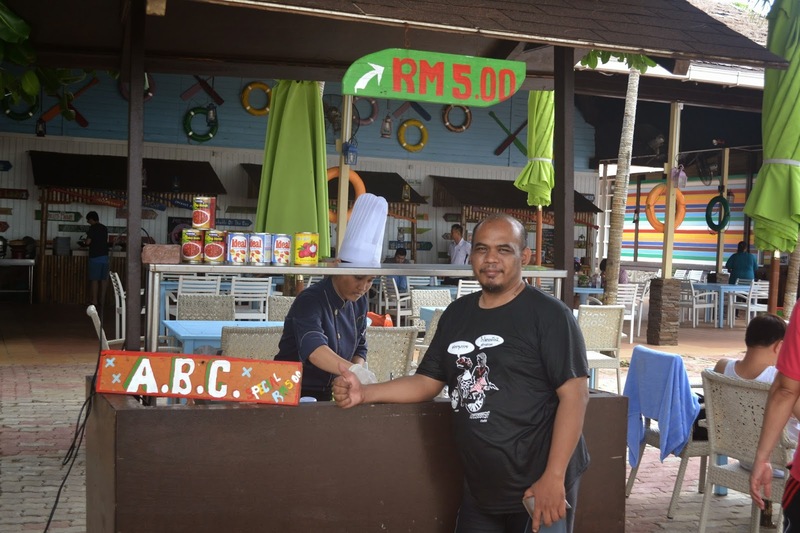 I have booked online, Casuarina Hotel near Tanjung Aru. Its only RM220 per night for a family room with 1 king bed and 2 single bed. From here to airport is only about 20 minutes and to city centre is around 15 minutes. Let me show you the hotel room. The other room for me and Mr Hubby.